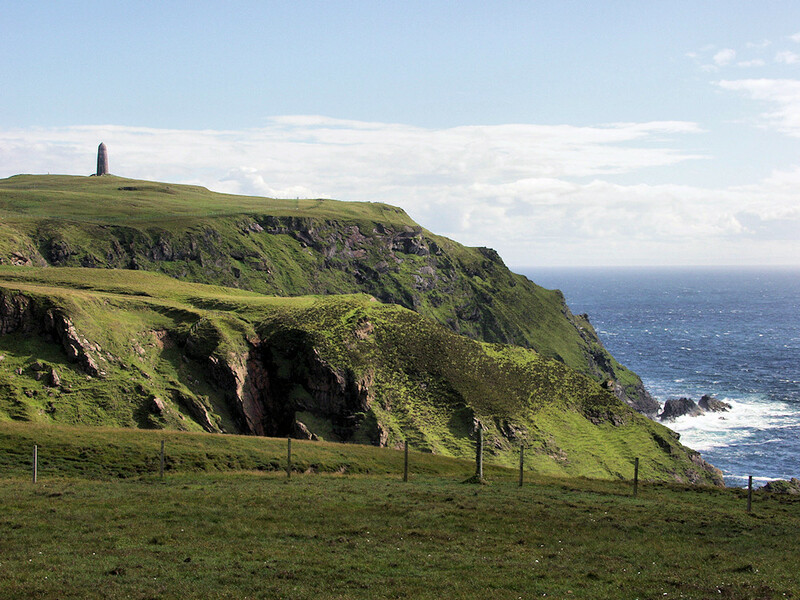 A view of the American Monument on The Oa in the south of Islay. The monument was built in memory of the dead of the Tuscania and Otranto disasters in 1918. This view is looking south from the cliffs north of the monument. This entry was posted in Cloudy Weather, Landscape, Repost, Sunny Weather and tagged American Monument, The Oa by Armin Grewe. Bookmark the permalink.